One of the limitations of standard USB is the amount of +5V current available to supply attached peripherals. Normally, 500mA is available at each host port and each powered external hub port. This amount of current is sufficient for most PC type peripherals like mice and keyboards. When the power requirements exceed the 500mA limitation, external peripherals require the use of an external power supply (brick) to supply the necessary power requirements. This limitation takes away from the true “Plug-and-Play” idea conceived for USB peripherals. There are three configurations available, 5V, 12V, 24V. 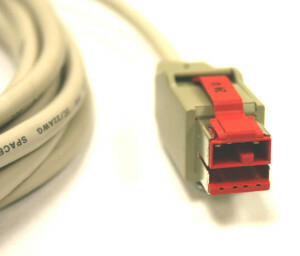 These are differentiated by a keyed and color coded connector. © 2019 Lynn Products, Inc. All Rights Reserved.